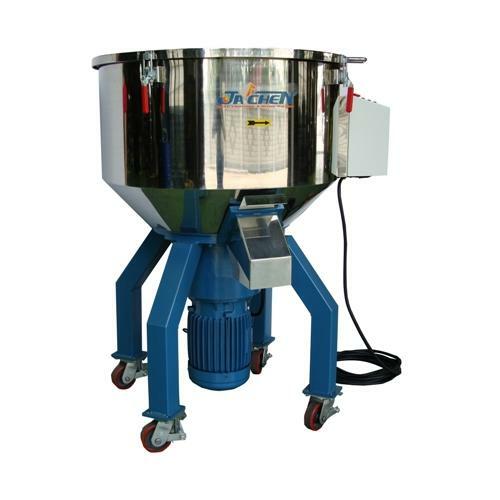 Vertical blender / Powder mixing equipment(JB Series) - Sinchung(Jachen) Technology Co., Ltd. This series is used to mix or blend kinds of dry items and powders, e.g. PVC powders, calcium carbonate powders, plastic granules, milk powders, lime powders, tea powders, tea leaves... Also, heater or speed controllers are optional choices. heater : optional choice to enhance work efficiency.